Our new stuff's like our old stuff - good! Metallica debuted a scorching new song, Cyanide, during their headlining set on Saturday night (August 9) at Ozzfest. 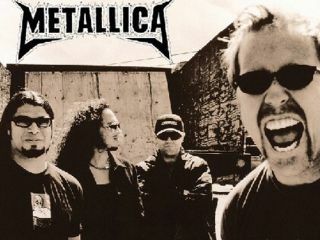 It marked the first time that the band has performed any material in concert from the upcoming Death Magnetic. And guess what? MusicRadar has a soundboard-quality YouTube stream of the cut just for you. Simply click this link and feast your years on this blazing six-minute bonanza. To us, it sounds as if Metallica are truly harkening back to their old-school ways. The rhythms, the riffs - it's all there. But they're embracing the new school in a big way too: after years of battling the Internet, the band is letting fans preview new material on YouTube.